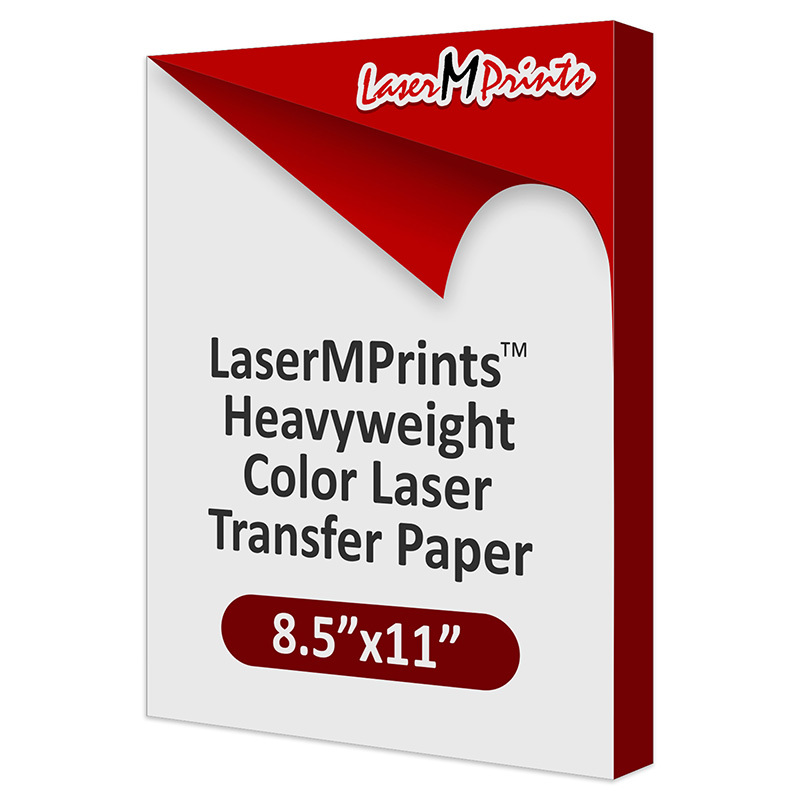 8.5x11 LaserMPrints Heavyweight Transfer Paper for Color Laser Printers. 100 Sheet Pack, 8.5" x 11". 11x17 LaserMPrints Heavyweight Transfer Paper for Color Laser Printers. 100 Sheet Pack, 11" x 17".